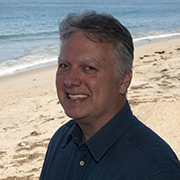 Kent Headley joined MBARI in 2000 as a software engineer, one of the original members of the Support Engineering Group. In 2004, Kent began serving as Platforms Engineering group lead, and is currently the lead of the Software Engineering Embedded group. Core responsibilities include staffing, personnel development, resource management, proposal review, and software development. An open suite of technology, techniques and domain expertise enabling in situ ocean acidification experiments. FOCE has been used to study the response of natural systems to a high CO2 ocean in Australia, Antarctica, France, and Monterey Bay. Deep ocean moorings that provide power and high speed data communications to benthic sensor networks, and satellite data telemetry to shore. MOOS was used to study canyon dynamic processes in connection with benthic and upper water column biogeochemistry. The software infrastructure for MOOS is also being used by University of Hawaii on the Aloho Cabled Observatory. Mooring infrastructure used to establish a long time series in Monterey Bay and the equatorial Pacific. OASIS mooring technology was picked up by Cawthron Institute in New Zealand as the basis of a coastal monitoring program. Kent has a BSEE degree from San Diego State University.